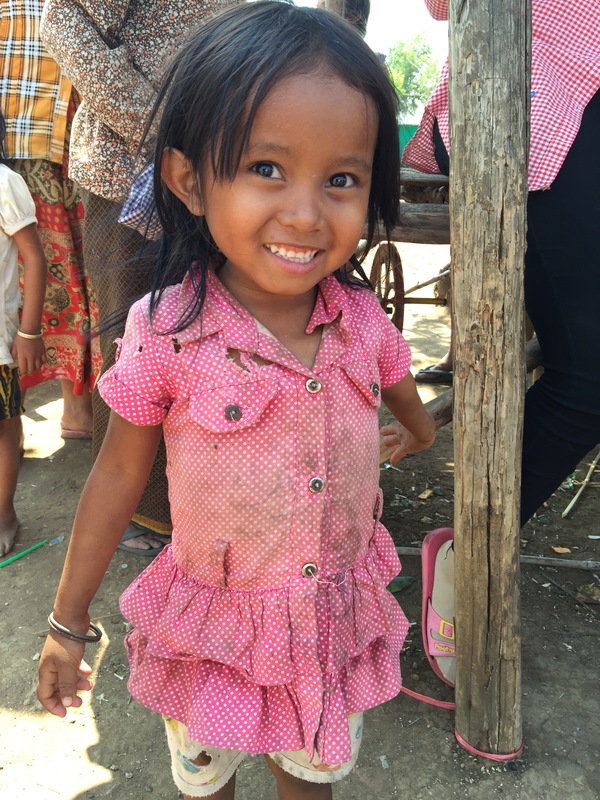 While our teams are in Cambodia, we often write about Imparting Smiles and take pictures of the children there to share with you. We also learn and write about the work of the Hope Center, but yesterday, we got to be feet on the ground in the villages with the Hope Center staff. It may be hard to imagine if you have not seen it with your own eyes, but children like those at Imparting Smiles, come from rural villages of over 160,000 people connected by dirt roads with potholes the size of bathtubs. These villages are full of women, childeren, infants, and elderly laying on mats and wooden, tree branch connected planks on the ground. There are dogs and chickens running everywhere, unclothed toddlers playing in mud, and women preparing meals. However, men are rarely seen. They are either in Thailand looking for work or they have abandoned their family. Yesterday, we got to experience this village life. We set out with the staff of the Hope Center to participate in a typical day in the village. The staff is made up of Chea Vuthy, the Director of the Hope Center, who returns nightly to his family and his personal shoe shop in Thailand. 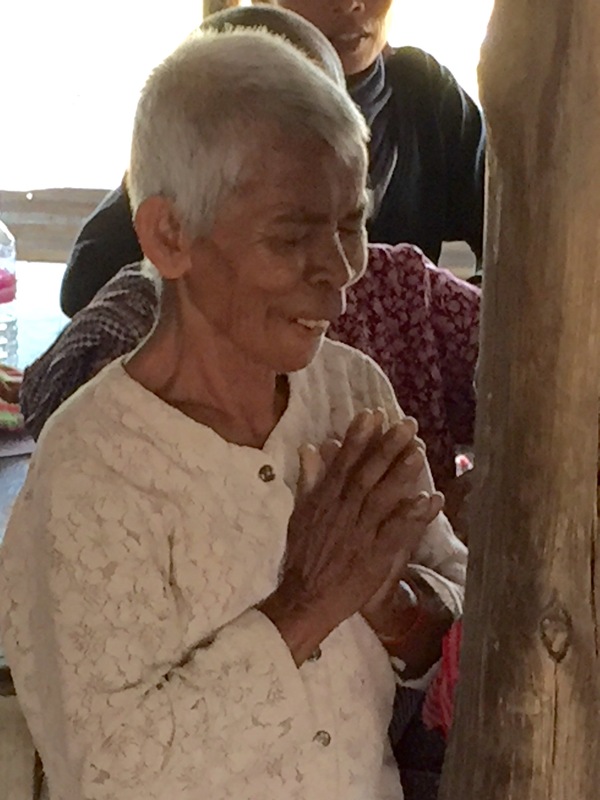 Imm, previously an orphan living at Imparting Smiles, is now grown up and actively participating in this village ministry. Lastly there is Phanny, a widow with a young son Joseph, who came to live at Imparting Smiles because she had no where else to turn. 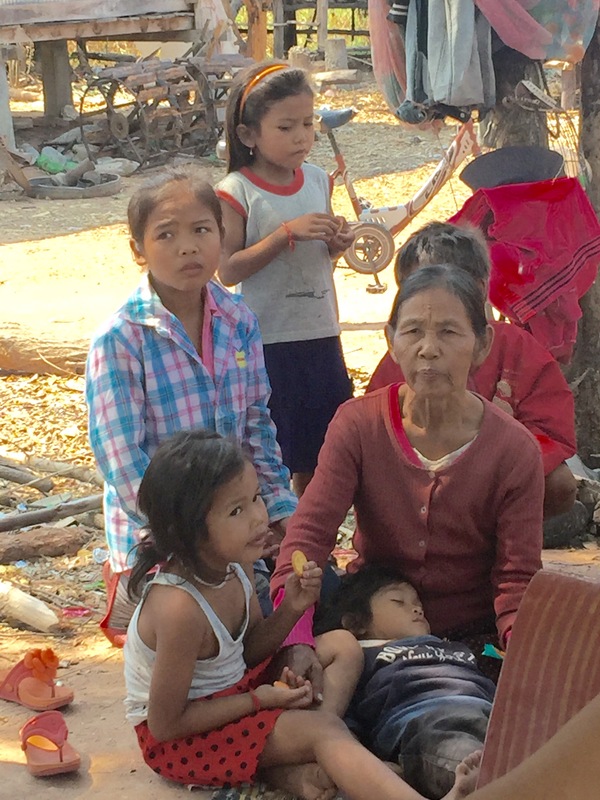 These three set out daily to the most destitute villages to teach practical medical care, pregnancy care, and share the gospel to the least of these. Children (like the one in the photo below) have a chance of survival due to the care that the Hope Center provides. 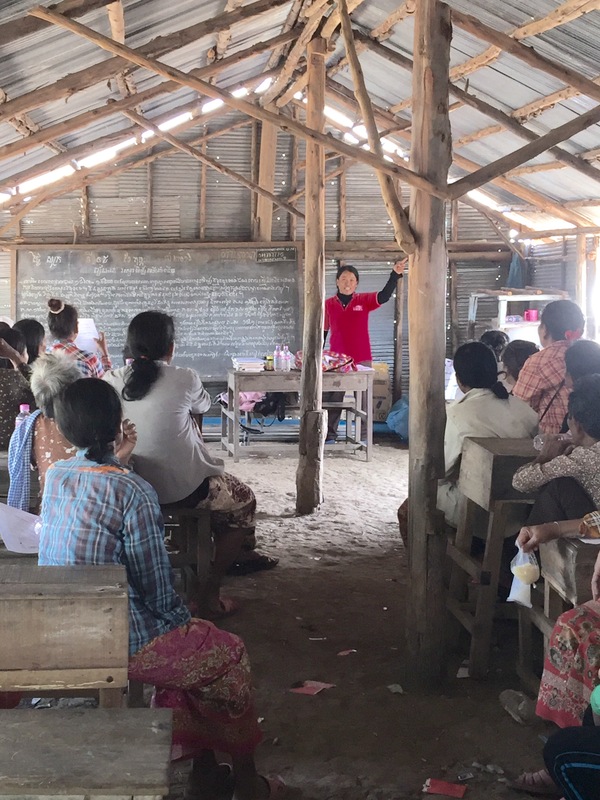 Vuthy, in his wisdom, has a charted plan to visit villages on a schedule, document medical issues, and follow through with a consistant message of the gospel to those that rarely experience structure at all in their lives. He truly cares for the poor and offers them clean water and medical help, but something even better that will last for eternity. He offers them the hope of heaven. In a society where there is no hope, the hope that Vuthy and his staff offer is life breath to weary, discouraged souls. We traveled to many villages yesterday. Some groups meet in tin-roofed school rooms (like in the picture below.) Some meet in lean-to shacks where the newest mother in the village has just delivered a baby. Wherever they meet, the people of Poipet are gaining education and the people of the Hope Center are changing their piece of the world to make it a better place. We ended the village mission tour at a small village that was packed with women. Both young and old gathered to hear the lesson. To a quiet audience, Phanny delivered a lesson on getting to the hospital as soon as your water breaks. Many babies die because the mothers are told to just lie and wait and see what will happen. At the end of the lesson Noit Hyde stood up and starting speaking rapidly in Khmer. Although we could not understand her words, there is nothing like hearing the power of the gospel being shared. At the end of her talk, three women raised their hands to profess faith in Christ. You really had to see it to believe it. Their very countenance changed. That is what Jesus does for each of us. He changes our countenance to reflect His amazing love, grace, forgiveness and mercy to those we encounter. Think about your face today. Do people see Jesus when they look at you? This entry was posted in February 2016 Trip. Bookmark the permalink.